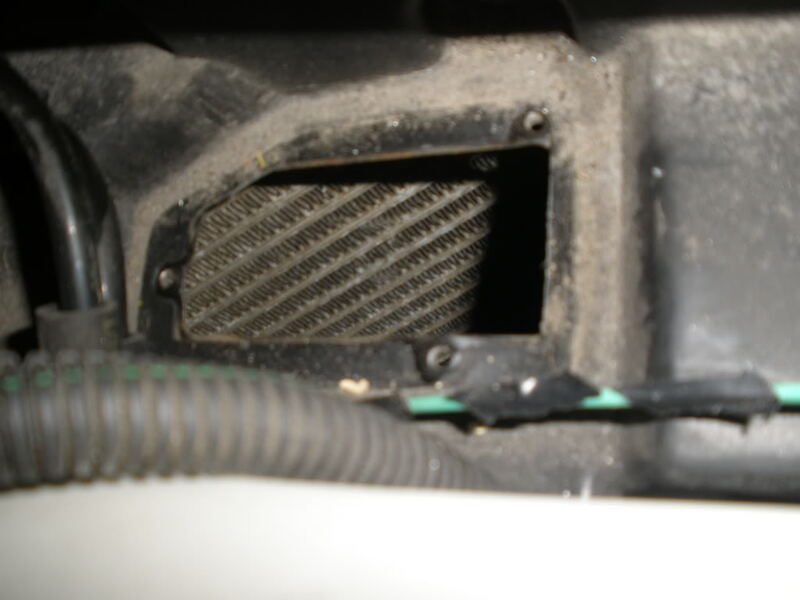 If you think your airflow is low due to clogged passages in the evap core, your finding wet carpet, or if your car is more then 6 years old, then this is something you should do. Before starting, cover your fender to protect it from scratches. Then disconnect your negative battery cable. 1. 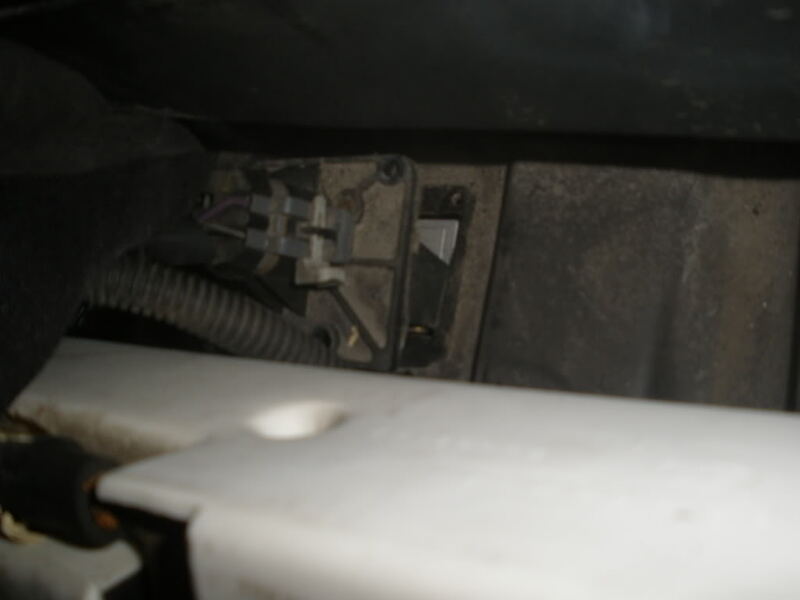 Remove maxifuse relay center cover under the hood. It'* circled in red here. 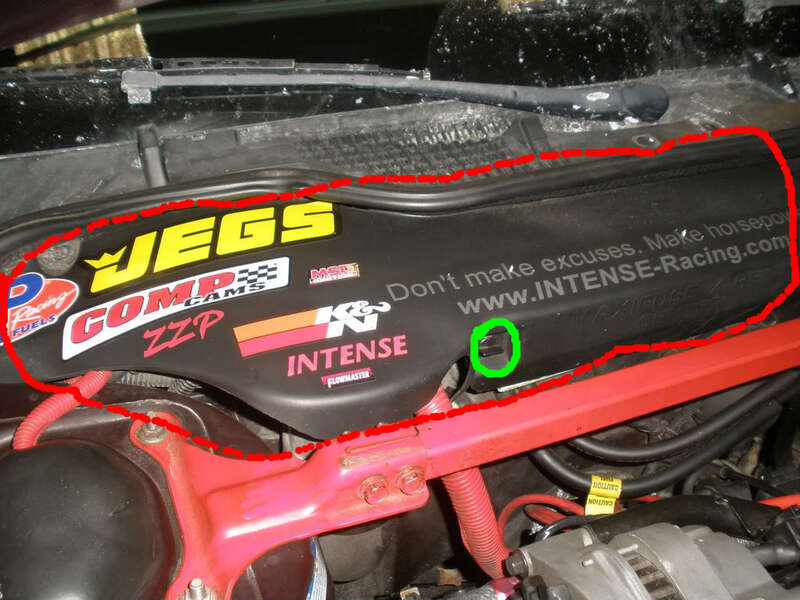 There are two tabs holding it circled in green. The other is just off the picture on the right side. 2. 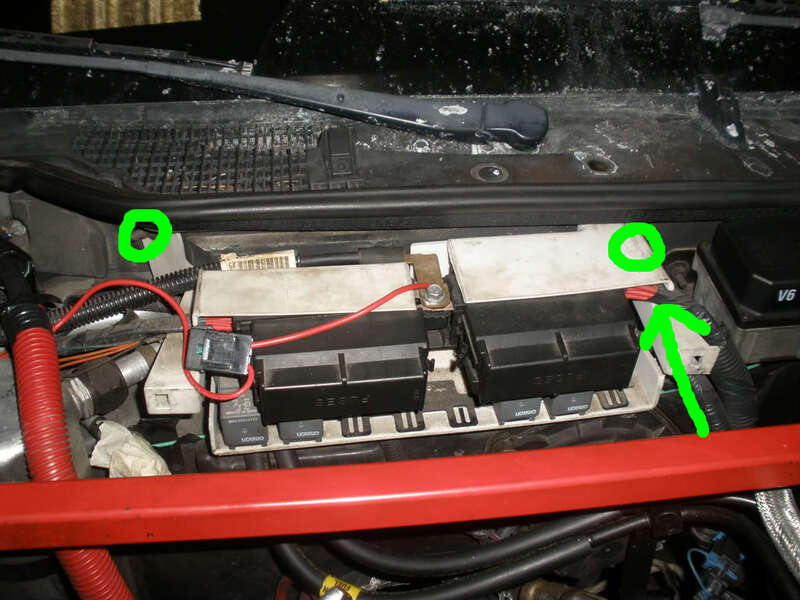 Remove two 10mm nuts holding the maxifuse relays and fuses circled in GREEN. 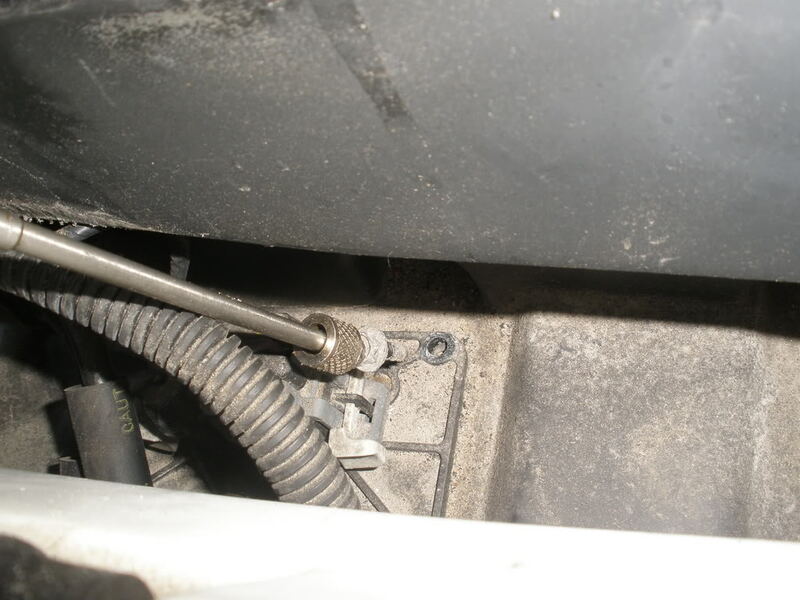 The bolt on the right hand side is inside the plastic shroud. You will have to move the wires out of the way. Using a screwdriver type nut driver works well on the right side. 3. 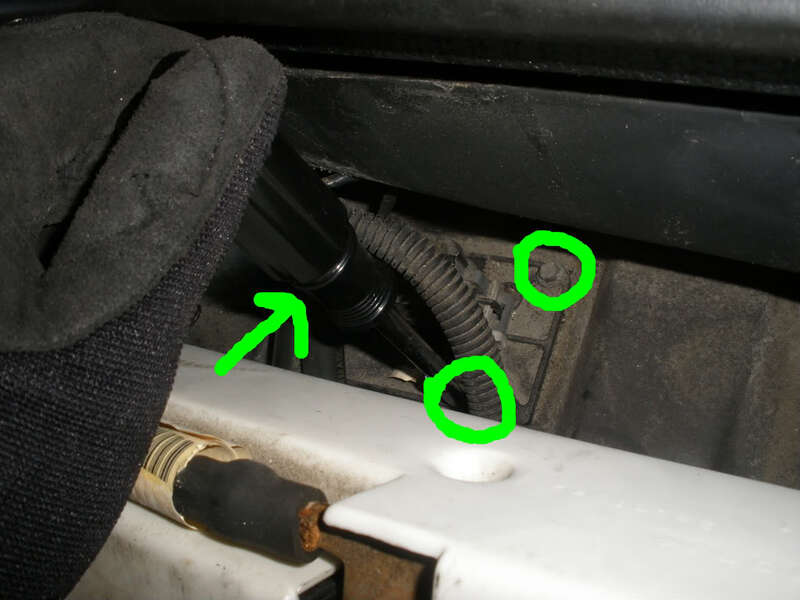 Now remove the 3 small screws holding the blower resistor pack (if equipped) circled in green. The third screw is behind the handle of the nut driver. Please keep in mind you are working near your fuel lines. So be careful. Getting the screws out may be difficult, using a telescoping magnet makes this much easier. 4. Now gently pull the resistor pack out of the way, you will have to move the fuel lines a little to do this. 5. Here you can see the evap core. This is what we will be cleaning. find the drain and make sure it is clean and not stopped up. It will be underside of firewall under evaporator. It should have a rubber flipper valve on the end of it. If the flipper is not on it that may cause water to back up in to the car. They do not drain good on the road without the flipper and some they have to put a extension on drain pipe to keep the road back pressure off of drain. 7. 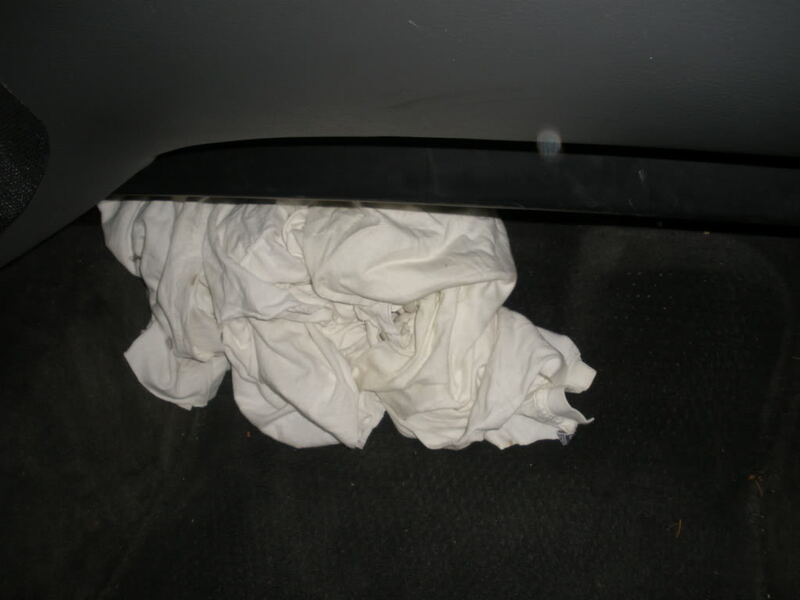 Now remove your floor mats and stick towels under your vents. Some water will enter your car. 8. Spray down the core the best you can. 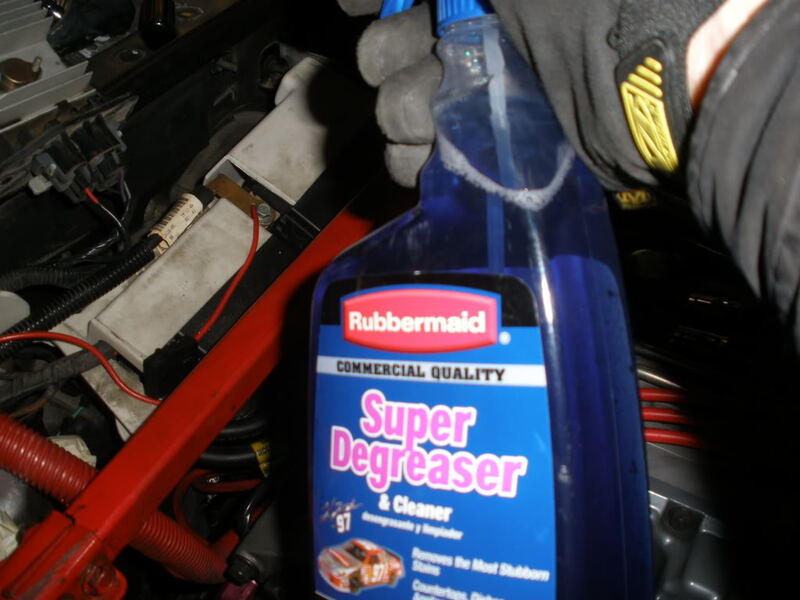 This will help loosen and dirt or grease on the core. let it sit for a while. 9. Now get the garden hose and spray down the core. Only a little at a time. It can only drain so fast. If you spray to much it will back up in to your car. You will see water running on the the ground. If not your drain is plugged. Do this for a while until you have clean water running out. You may get some debris washed out inside the car. This is what the towels are for. You may find pine needles, leaves, sticks, you name it. 10. Now put the resistor pack back in and replace all three screws. 11. Now put the maxifuse panel back in place and replace both nuts. 12. Put the maxifuse cover back in place. 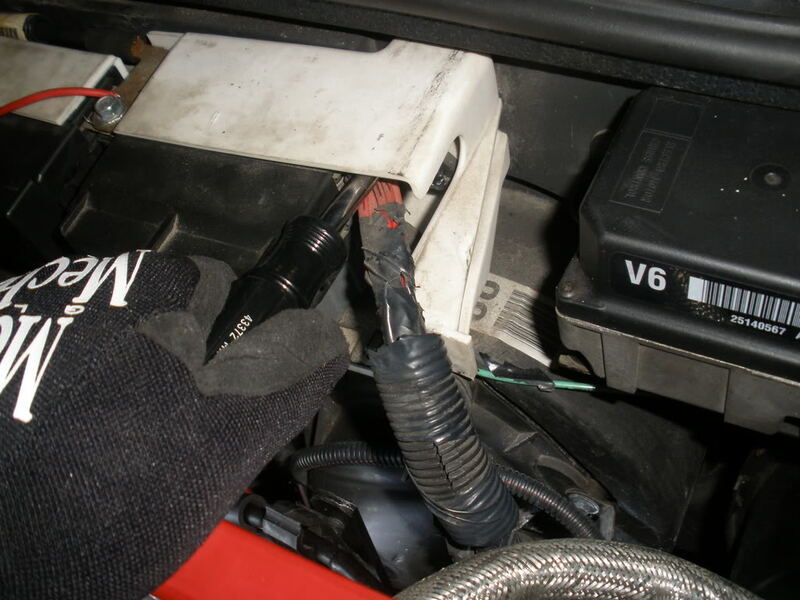 13. connect the negitive battery cable. 14. Now start your car and run the heat all the way up to help dry out the core. Last edited by Danthurs; 01-24-2009 at 02:58 PM.